[%image chocolate float=left width=150] Seattle may be best-known for all the coffee pouring out its doors (you've heard of Starbucks? 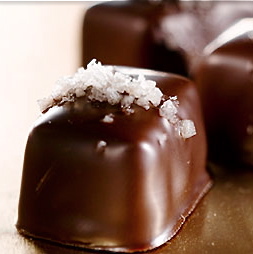 ), but it's also home to some serious chocolatiers, including Fran's Chocolates and Theo Chocolate. 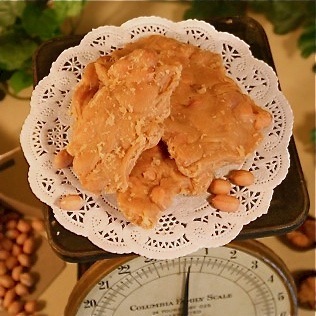 [%image reference-image float=left width=150] Made from a decades-old recipe, soft peanut-butter brittle from Bruttles (the name is a combination of "butter" and "brittle") is a regional treat in the Inland Empire. 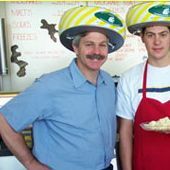 [%image guy float=left width=150] The chalky-yet-creamy cheese known as Cougar Gold is aged for at least a year by the Washington State University Creamery. Its main quirk? It comes in an enormous 30-ounce tin — great for apres-ski parties and large bashes. The creamery also makes cheddars and flavored cheeses. block(clear green). Have a favorite regional specialty from Washington? Share it in the comments section below.